Over the past decade, the Gas Power Plant Construction Industry has experienced huge levels of growth, change and disruption. The question is, what does 2018 have in store for your Gas Power Plant? In a brand new 45-page white paper, Petrochemical Update has consolidated the most up to date data and expert insight of today’s Gas Power Plant construction industry to best prepare for future challenges your project could encounter in 2018. A Complete Market Outlook of the US Gas Power Industry including factors driving investment and growth, a study in to Natural Gas as the prime fuel source as well as insights to where the next opportunity for growth may be found. Project Updates and Construction Data on CapEx and maintenance investment, talent availability and workforce development, and labour productivity and costs analysis. 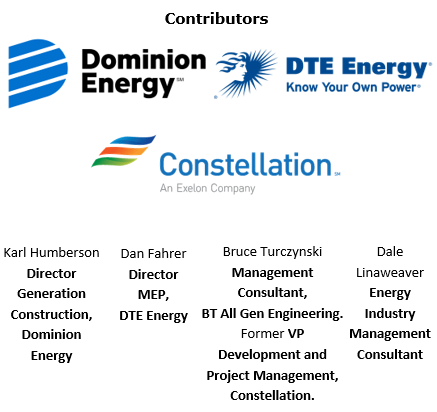 Leading Expert Insight and Case Studies from Dominion, DTE Energy & Constellation on major challenges faced by gas power high level project managers and lesson learned on projects they have worked on. Construction Innovation Trends that are reshaping onsite productivity and could help keep your project stay on target, including advanced work packaging, 4D and 5D modelling, the digital.